We wrote about the ordinance being proposed by Brevard County Commissioner Curt Smith the other day. Initially, on November 21, 2017 in response to another spat with Commissioner Tobia, Smith announced that he was going to propose a “Civility Ordinance” which would deal with the speech and behavior of not only Commission members, but of the general public. Florida Statute 166.041(3)(a) Except as provided in paragraph (c), a proposed ordinance may be read by title, or in full, on at least 2 separate days and shall, at least 10 days prior to adoption, be noticed once in a newspaper of general circulation in the municipality. The notice of proposed enactment shall state the date, time, and place of the meeting; the title or titles of proposed ordinances; and the place or places within the municipality where such proposed ordinances may be inspected by the public. The notice shall also advise that interested parties may appear at the meeting and be heard with respect to the proposed ordinance. Smith announced his intentions on Novemeber 21, and as there are 13 days beteen November 22 and December 5, which is the date of the next Commission meeting. There was time to fit the notices into the legal requirements. Yet as we watched and searched for the “Civility Ordinance” to be put on the agenda, nothing happened. Smith’s big cause and attempt to censor people was not happening. We were rather stunned. After all, Smith had made such a big deal about the whole thing one would thing that he wwould be interested in following through. Yesterday we wrote that Brevard County Commissioner Curt Smith was looking to introduce a “Civility Ordinance” that would mandate the behavior of Commissioners, the staff, people in the audience and those who speak in front of the Commission during Commission meetings. Smith said that he had been working with County Attorney Scott Knox on the preparation of this ordinance since June. During the November 21st meeting, Smith said that he would present the ordinance for a vote on December 5th, and handed each Commissioner a draft copy of the ordinance. We decided that it might be a good idea to get a copy of that draft and so we made a request for the draft. That request was handled quickly and efficiently by Commissioner Smith’s staff and the County Staff. Our request was filled in less than a day, and that is more than we could hope for. We want to publicly thank those involved in the response to the request. That being said, the ordinance itself is a nightmare and an assault on the rights of citizens. Nov 28, 2017 Posted by AAfterwit on Nov 28, 2017 | Comments Off on Smith VS. Tobia. Round Three. Ding! 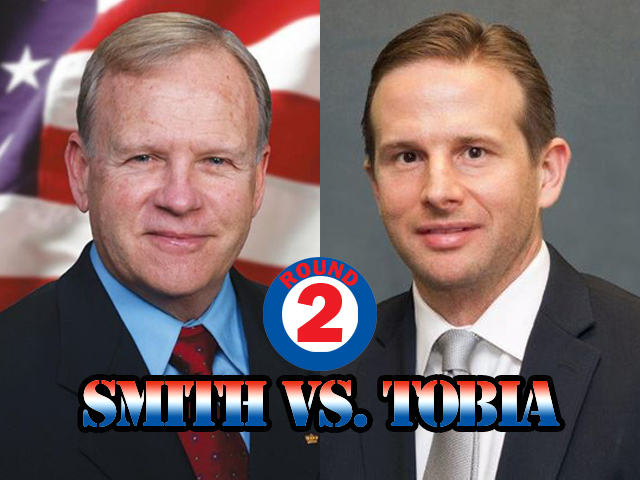 Smith VS. Tobia. Round Three. Ding! This is starting to be a recurring theme. Once again Brevard County Commissioners Smith and Tobia went at it over what essentially can be called “speech” and a “disagreement on statements” that were made. In our opinion, this is one of those cases where neither man is right. 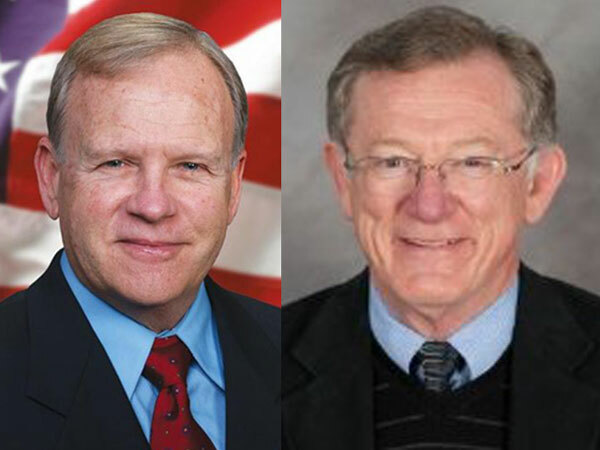 Even though the positions taken by Smith and Tobia are 180 degrees apart from each other, their actions are very similar and wrong on many levels. Oddly, this round goes back to Representative Randy Fine’s proposal and introduction of a bill that would allow money from the Tourism Tax to be used to help clean up the lagoon. Jim Ridenour, chairman of the advisory Brevard County Tourist Development Council, labeled Fine’s bill as being “criminal.” We aren’t sure how a proposed bill can be “criminal,” but we suspect that Ridenour was upset for any number of reasons, including the idea that Fine’s Bill would take money away from a Committee that Ridenour chairs. We think Ridenour’s comments were over the top, but he has the right to make them. Ridenour later apologized for the comments, and that’s a decent thing to do. There’s a difference between disagreeing with the proposal and labeling it as “criminal.” Ridenour later came to that conclusion and did the morally correct thing in saying he still disagreed with Fine’s proposed bill, but the characterization that the bill was “criminal” was not right nor accurate. 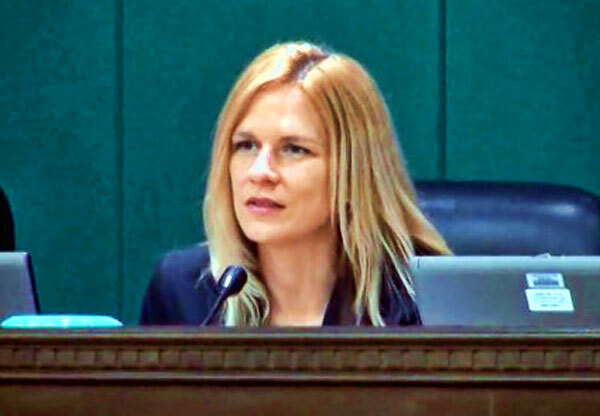 However, Commissioner Tobia wasn’t pleased with Ridenour’s comments and even after Ridenour’s apology, sought to “censure” Ridenour through a resolution. Nov 17, 2017 Posted by AAfterwit on Nov 17, 2017 | Comments Off on And They Wonder Why There Is Dissent…. And They Wonder Why There Is Dissent…. One of our ninjas sent us this story of a local couple who own some apartment properties in Brevard County. The couple is well respected and have taken beaten down apartment buildings and turned them into places where people want to live. According to our ninja, the couple is untra-fast to respond to issues that may happen in rental units. They have put up security cameras, outside lighting, repaired parking lots, etc. The buildings are always painted and the grounds in great shape. In short, they are the ideal landlords the type of landlords that people want to deal with. In fact, when the economic downturn hit and people were hurting for income, they lowered their rental rates for existing renters. In addition, as local owners, they are people the Brevard County government should respect and support. The increase in taxes and fees was over 10% – the same amount that it jumped last year. When the couple took their check to the County Tax Office, they commented on the rate increase and how they were going to have to raise their rental rates which would force out good tenants who don’t have the luxury of telling their employer to pay them more under the threat of law. Smith VS. Tobia. Round Two. Ding! As if the fight between Commissioner Curt Smith and Commissioner John Tobia couldn’t get more interesting and in a sense, more foolish, the two went at it again over expenditures of CRA funding which Tobia feels are at the most illegal, and at the least inappropriate. Tobia questioned the use of CRA money by the Downtown Melbourne CRA and Olde Eau Gallie CRA, alleging the CRAs “improperly used” about $684,500 of city and county money for festival expenses. Tobia said he had opinions from the Florida Attorney General’s Office and Brevard County Attorney Scott Knox to back him up. And he wanted the County Commission to authorize “performance audits” of the two CRAs, partly to see if any other money was spent improperly. We think that is a fair question. Oct 19, 2017 Posted by AAfterwit on Oct 19, 2017 | Comments Off on Paging Commissioner Isnardi. Paging Commissioner Isnardi…..
Paging Commissioner Isnardi. 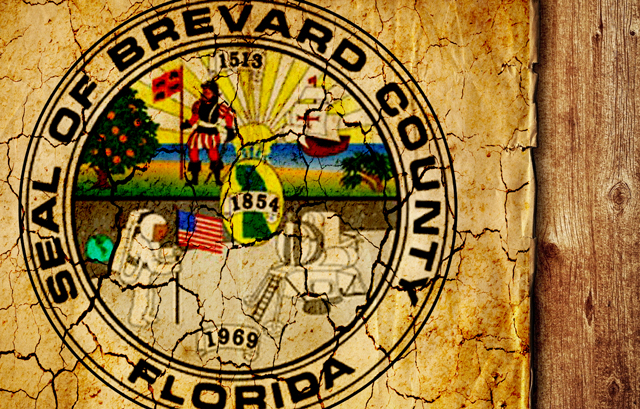 Paging Commissioner Isnardi…..
After we finished our post last week on Brevard County Commissioner Kristine Isnardi and her attack on the content of speech, we decided to write her personally. We sent her an email expressing our concerns. As always, we not only expressed concerns but offered that if she and other Commissioners wanted to stop all comments that were made at inappropriate times during a meeting, we would be supportive of her actions. What we would not support is her desire to hold people “accountable” for things that were said of which she disapproves. Thank you for taking the time to contact me by email. Each day I review my emails and I use this automated response to verify and acknowledge receipt of your correspondence. My staff and/or I will respond to each and every email as it pertains to my District or specific questions directed towards me. In order to better serve you and your concerns, it is important to include your name, complete address and phone number. Should you require additional information or assistance, feel free to call my office and a staff member will promptly discuss your concerns with you. Oct 17, 2017 Posted by AAfterwit on Oct 17, 2017 | Comments Off on Blind Squirrel Commissioner John Tobia Finds Nuts – Lots Of ‘Em. 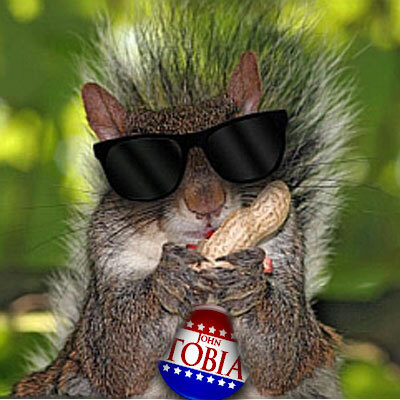 Blind Squirrel Commissioner John Tobia Finds Nuts – Lots Of ‘Em. Brevard County Commissioner John Tobia isn’t an attorney. He just plays one on the County Commission. designating $14.4 million from the county’s 5 percent Tourist Development Tax for five tourism-focused capital projects within the county. The tax is charged to those who rent hotel rooms or other short-term rentals. Within a span of 20 minutes, Tobia let loose with 34 questions directed at three county department heads about the projects, the application process, the tourism economic impacts of the projects and other potential funding sources. In many cases, Tobia launched into a new question before the county officials finished answering the previous question. At issue was agenda item VI (B)(1) described as “Approval, Re: Tourism Community Development Plan Capital Projects.” The supporting agenda packet for this meeting can be found here, and the information on this particular agenda item begins on page 1123. With the background set, we now want to turn to what exactly happened that October 10th night. You can watch this part of the meeting yourself starting at roughly 3:10:00 of the video available on the Brevard County site. Space Coast Office of Tourism Executive Director Eric Garvey starts off the item reading the agenda packet description. That is followed by members of the public speaking in favor of the tax dollars being spent. At approximately 3:55:00 Commissioner Pritchett makes a glowing comment on the spending (after all, $7,000,000 is going back into her district) and then makes a motion to approve the plan. That motion is seconded by Commissioner Barfield. The fun and games with Commissioner Tobia 3:55:40.